Cranes are stocked in a variety of types and sizes. The largest and heaviest machinery is often used in large construction and manufacturing sites, as well as oil rigs. Smaller cranes, such as mobile and self-erecting ones, are used in construction projects found in tight and small places such as those found in urban areas. Before starting your search for a good mobile crane to hire, know all the lifting and moving tasks the equipment will have to do. By doing so, you can get an idea of the size of the vehicle-mounted crane to rent. You can also set a budget and determine how many hours or days you will need to use the machinery. Vehicle-mounted cranes also come in different sizes. To choose the right size of equipment for your project, aside from considering the lifting requirements or load capacity the machine will have to fulfill, you also have to factor in the worksite and the places and roads it will go through. If the truck will have to navigate narrow streets and your house is located in a small area, hiring a huge crane will be a costly, stressful and time-consuming mistake. It is crucial to choose the right size of the crane on your first hire to ensure a safer and more efficient use of your rented machinery. Request for quotes from different crane hire companies. Compare their rates and find out what the total cost covers. Once you have narrowed down your list of preferred companies, read the reviews and ratings given by their past and repeat customers. Make sure the service provider you are interested in hiring has a good reputation and has no record of unsatisfactory work and accidents on and off a job. Make sure the company you will hire a crane from also has the necessary permits and licenses to operate and rent out their equipment. Check if their machines and operators have sufficient coverage as well. Getting the most from your hired equipment and making sure it is safe to have on your property will depend greatly on the crane operator. If you will also hire an operator, take a look at his qualifications and experiences. Make sure he is licensed to operate the type and size of equipment you will hire. As already mentioned, ensure that the operator is fully insured; you never know when and where accidents will happen. You will avoid a lot of problems that will arise in case an accident occurs while the equipment is in use on your client’s property. Having a mobile crane on your property isn’t as simple as bringing home a new car. The truck and machine may block the road or a sidewalk and will bring some inconvenience to your neighbors. You can properly deal with these issues when they arise by having the relevant permits or approvals you need for your mobile crane use. Getting all the necessary permits to have a crane in your home is also crucial to avoid getting fined or being shut down in the middle of important work. 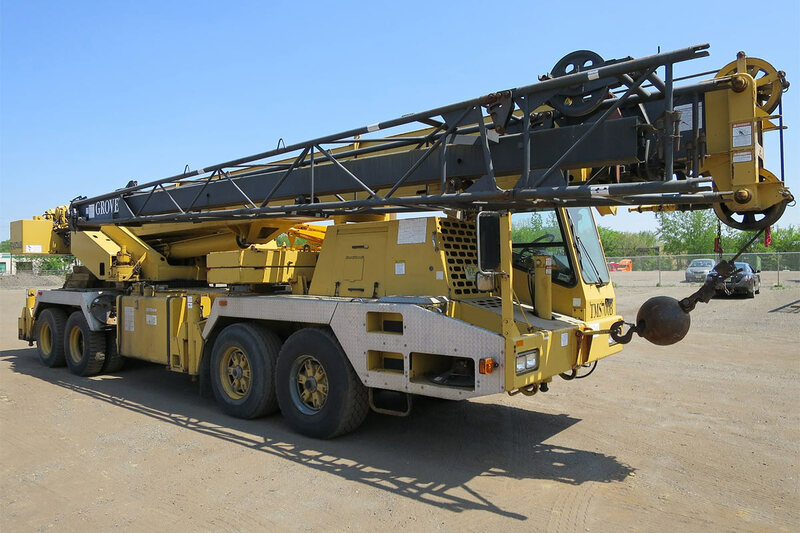 Before finally hiring the mobile crane, personally look at and inspect the equipment. Do not be satisfied with photos of the equipment you see on the company’s website or on their brochure. Take the time to closely evaluate the crane to truly understand the condition and the maintenance of the vehicle. Look for signs of rust and severe wear and tear. Ask the company’s staff how often they clean and maintain their equipment. If you don’t feel confident about the cranes you are seeing, move to another rental company. Lastly, to reduce the rented machine’s downtime, prepare the area and building where the crane will be used before it arrives. Park your car in the garage so that there will be a dedicated spot for the equipment and get rid of other debris as well. If you need to have a door or windows removed, have it done in advance. A mobile crane is cost effective equipment to have if you are embarking on a huge home improvement project. Make sure your builder rents the right crane so that you can get the most from this machine and every penny you spend hiring it. I like the first tip about making a checklist of objects the crane will be moving. You want to make sure the company you choose as the right type of crane you will need. This will also allow you to get an idea of the pricing as well and how long it will take you to move the items you need to. Inspecting the equipment can be valuable as well. You want to make sure it looks nice and like it has been kept up.